You might not be sure if you can work this problem out. Concerned you both cannot fix this? I am not going to kid you that relationships are easy. It takes a lot of work to keep a relationship going strong. There are times when it seems that you have tried everything. You are in a relationship that is stuck and you are struggling. You have tried everything you can think of and nothing has worked. You do not know how to talk to your partner anymore and wonder if this is all there is. I am here to tell you that there is hope for your relationship. I have worked with many couples in your situation and there is hope. Let me help you get back to the relationship you want. 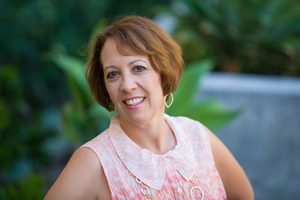 I am Kim McLaughlin and I am a licensed counselor in the Roseville and greater Sacramento CA area. I work with couples to help them develop more satisfying relationships. Ready to get started? Schedule an appointment now! You have tried everything and it just did not work. Are you thinking about getting a divorce, but want to make sure you are doing the right thing? You are having a tough time walking through the maze of the divorce process? Sometimes, it just does not work and your marriage is done. If you are considering divorce or in the process of divorce, counseling can help you figure out what to do FOR YOU. This is a tough time in your life and I know you did not get married thinking you would get divorced. Whether you have kids or not this is the time you need to get support. I work with people considering divorce, in the divorce process and post-divorce to help them get through this process. My name is Kim McLaughlin and I am licensed marriage and family therapist and I help people while they are in a relationship or as they transition out of relationships (divorce or break up). I work in the Roseville and greater Sacramento CA area. Give me a call now to get started to figure out what you need . Call me today at 916-847-8053 or send me an email here. Ready to figure this out. Set an appointment NOW.